Kyrie Irving's break to the basket at the buzzer for a game winning layup did everything but fall through the net as the Cleveland Cavaliers were then forced to overtime,where they ran out of gas in a 98-91 overtime loss to the Indiana Pacers in Indianapolis. Irving led Cleveland in scoring with 20 points. 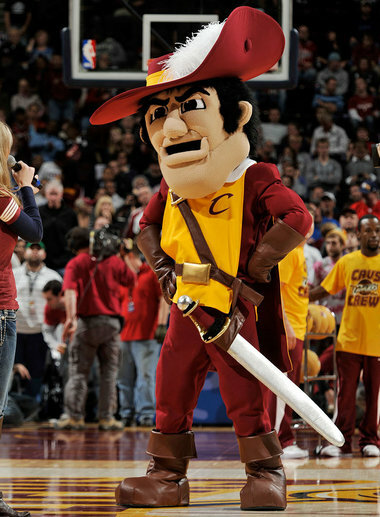 Cleveland is off today until tomorrow when the team returns to the Q for a 6 PM start against the New Jersey Nets. 1) One bad period cost Cleveland this game and it was not the overtime-it was the costly third quarter that saw a halftime lead turn into a nine point deficit at the end of three. These things will happen with young teams,but I am pleased with the comeback to put themselves into a position to win the game when they could have mailed the game in considering a tough opponent on the road..
2) Kyrie Irving's layup would have been great to have,but it was not really an uncontested shot. Danny Granger raced by Irving just enough to disrupt Irving's vision and yet not foul him. Super play by Granger and not one I'd hold against Irving. 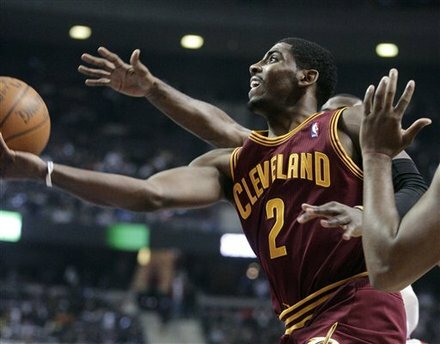 3) Irving is clearly a rookie,despite his talent as he often plays out of control as a youngster is prone to do. 4) Another awful shooting night from Antawn Jamison.This time a 4 of 14 from the floor night. 5) Two big three pointers,with one giving the Cavaliers the lead with 18 seconds to go by veteran Anthony Parker. 6) Has Alonzo Gee's surprising play plastered Christian Eyenga on the bench? 7) Anderson Varejao battled through ankle turns,knee to knee contact and constant work from the trainers to keep him on the floor to still have a solid game of 14 points and 13 rebounds. Have to love the Brazilian big man's effort! 8) Big factor in this loss? 58% free throw shooting (18 of 31) as a team. To bring in the New Year,here is a list of ten things (no particular order) that I would like to do sometime in my life. 1) Travel to the following Presidential Libraries-Theodore Roosevelt,Franklin Roosevelt,Harry Truman,Dwight Eisenhower and Lyndon Johnson. 2) Attend a Star Trek convention-A fan of the original series since I was a kid and Deep Space Nine ranks as an all time favorite. Note this is attend,not being involved in a show costume-that is way more than I need to be involved!! 3) Catch a Walleye on Lake Erie and/or a Steelhead Trout from a Lake Erie tributary stream..
5) Visit my good friend,Brandon Siefken in Japan. 6) Go to spring training in both Arizona and Florida. 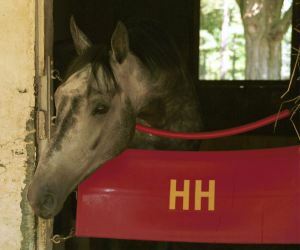 8) Travel to the prettiest race course in America-Saratoga in August. 10) Look through a high powered telescope and see the moon and planets through them on a good day. Bonus 1: Meet Bobby Orr and/or Jack Nicklaus-even if just for a moment. Bonus 2: Find a seat from old Cleveland Municipal Stadium or the Richfield Coliseum and watch games from the "cheap seats" in my home. Just wanted to make an end of the year acknowledgement to some of the links that you see on the links list. Thanks to all of these for their hard work. Cap Geek NHL- Another easy click for Devils contract info and how the Devs stand with the salary cap at any given time..
Bucs Dugout-Charlie Wilmoth has some of the best posters around including our friend Wilbur Miller. In Lou We Trust-John Fischer runs a tight ship at ILWT and it is the first place that I look at for thoughts on the Devils to either jog my memory on a point or even a point that I might have missed..
Fire and Ice-Devils beat writer Tom Gulitti is the in locker room source for all news Devils. Indians Prospect Insider-When I have an Indians question,I usually check out Tony Lastoria's opinion on the Tribe..
Tony is the most knowledgeable person on the Wahoos minor league system and his work is stellar. Nationals Prospects-My good friend "Sue Dinem" does great work with his blog and often gives us mentions over there. I occasionally write for Sue,but putting that aside, it is still the best site for following the former Suns as they move through the Washington system..
Grumblings and Rumblings-My good pal Battlin' Bob does not update as much as he used to,but when he does it is always worth the read. It is rare that the Battler' does not turn a bad mood into a good one with his unique brand of humor!! Exploring Food My Way- I have never met Tom Noe,although we have swapped emails a few times,but his look at the Northeast Ohio dining scene always makes me pine for home. Tom eats at some places that I could not afford or places that are far too fancy for my palate,but he covers all his travels from fine dining to fast food. Scott Bowden is battling carpal tunnel,so his updates have become sporadic,but his look back at wrasslin's past (Mostly in the South) is always great stuff and makes me laugh out loud. 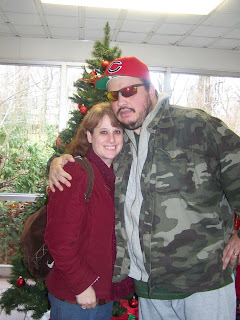 Scott also gets points for mentioning Rachel in his blog on Wrestlemania in 2010,so he is a good guy in my book!! All of these are located in our links page,so sample some or all of these sites and see what they have to offer as well. The Cleveland Cavaliers both won their road opener and evened their record at 1-1 with an impressive 105-89 win over the Detroit Pistons at the Palace of Auburn Hills. Samardo Samuels came from off the bench to score 17 points to lead Cleveland,who finished with six players in double digit scoring on the evening. 1) Samardo Samuels did not get off the bench in the loss to Toronto. If Byron Scott was sending a message,Samuels must have gotten it as Samuels went 6 of 8 from the floor and showed surprising range on the jumper. 2) Ramon Sessions finished with 16 points on 4 of 11 shooting,but the encouraging point for Sessions- two from three point territory. 3) Kyrie Irving looked much less tentative and more in control than in the home opener. 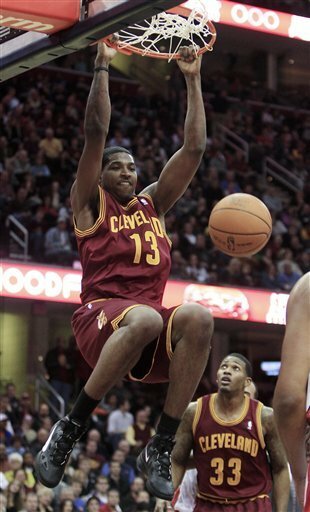 4) Second nice game for Tristan Thompson,who I think I am going to really like as a player. Thompson blocked two shots and was called for a possible third on a goaltending offense. 5) Biggest issue in this one?Turnovers. Cleveland committed 21 of them with most coming in the first quarter. Disappointing? Yes,but to be expected with a rookie point guard learning the ropes. Fortunately for the Cavaliers,they were playing a team that is on their level and enabled them to get away with a high count. The New Jersey Devils generally controlled their 3-1 home win over the Buffalo Sabres and were never truly threatened. New Jersey scored the first three goals of the game and cruised home thereafter behind two goals from Petr Sykora ( 9 and 10) and a follow up goal fromZach Parise (12). Martin Brodeur finished with 22 saves in earning the win in goal. 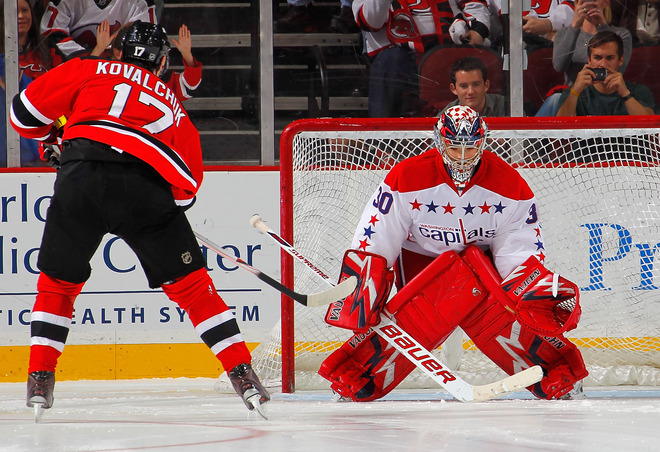 1) Petr Sykora had a good night with two goals,but he just missed the hat trick. One open shot,Sykora drilled high and another opportunity was foiled by Ryan Miller. 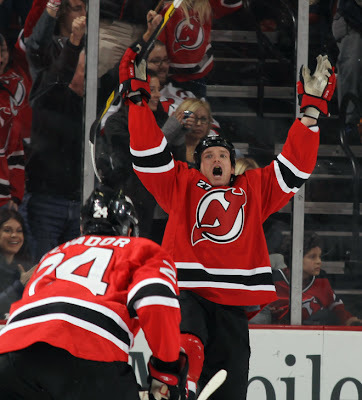 2) Patrik Elias assisted on both Sykora goals,showing the touch for finding his long time teammate. The first goal was simply Elias making a strong pass to take advantage of a Ryan Miller out of position chance,but even the simple things can go awry. 3) Adam Larsson returned from Sweden and earned the third star of the game. I was not sure he was that strong,but someone thought so! 4) Henrik Tallinder may be returning from back issues for the Pittsburgh game,so someone will have to go down to Albany. My bet is that it will be Matt Taormina returning,although I'd rather keep Taormina and send down Mark Fayne instead..
5) Martin Brodeur must have been inspired by the Cam Ward goal in Carolina as he took three shots at the open net late in the game. One went the distance,but skimmed wide. The Cleveland Cavaliers showed about what I expected to see in their 104-96 opening game loss to the Toronto Raptors- lots of hustle,glimmers of good things,a lack of outside shooting and outside of Anderson Varejao,a lack of rebounding. 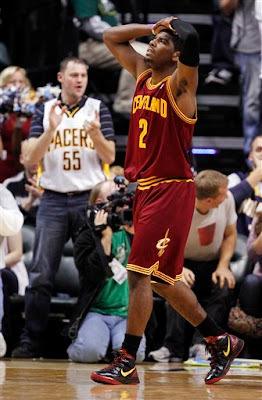 Ramon Sessions led Cleveland with 18 points,Alonzo Gee added 15 and Varejao finished with 14 points and 10 boards. Cleveland travels to Detroit tonight and the waiting Pistons at 7:30. 1) I was impressed by the second of the two first rounders play in the loss.Tristan Thompson scored 13 points and grabbed five boards in just over 17 minutes of play. Thompson showed that he will take the ball to the hoop and as he fills out,he should develop into an excellent rebounder. Thompson's offensive game is still raw and will need time to develop,but it is easy to see that the tools are there..
2) Kyrie Irving struggled as he finished with just six points,although he led the team with seven assists. Expect more scoring from Irving as the season progresses,but something gives me the feeling that Irving is going suffer through his growing pains via a well below average shooting percentage. 4) Anderson Varejao does not have a ton of shooting range or an excessive amount of moves on the block,but one thing that the Brazilian does is bust his hump. 5) Not a great night from former King Omri Casspi with just two points and a board,but Alonzo Gee's evening made up for that. Gee had a strong performance and that lessened Casspi's playing time accordingly. We'll see more of Casspi tonight in Detroit for sure. 6) Bad shooting night for veteran Antawn Jamison,who shot the most (20 attempts) and nailed just six shots. A dull effort was followed by a seven minute flurry by the New Jersey Devils to put a tie within sight against the Carolina Hurricanes. Ilya Kovalchuk then ended all hoped as his errant pass slid down the ice past Adam Henrique into the open net and clinching a 4-2 Carolina win. David Clarkson (12) and Adam Henrique (10) scored for the Devils. New Jersey returns to action tomorrow at the Rock against Buffalo. 1) I was called into work last night and will be working tonight as well,so the Cavaliers coverage will be postponed a day. 2) The Kovalchuk error and resulting goal was credited to Carolina goalie Cam Ward,who was the last Hurricane to touch the puck. The goal was the first for a Carolina goalie and the first in the league since 2006. 3) Anton Volchenkov assisted on both goals and his puckhandling on the David Clarkson goal was stellar. 4) Was not thrilled with the play of Johan Hedberg. The second goal was excusable,but the first and third goals were saves that the Devils had to have. 5) Guess what? ANOTHER shorthanded goal allowed-this one by Brandon Sutter for the games first goal. Note to my family outside the world headquarters-sorry,if that headline scared you a bit. 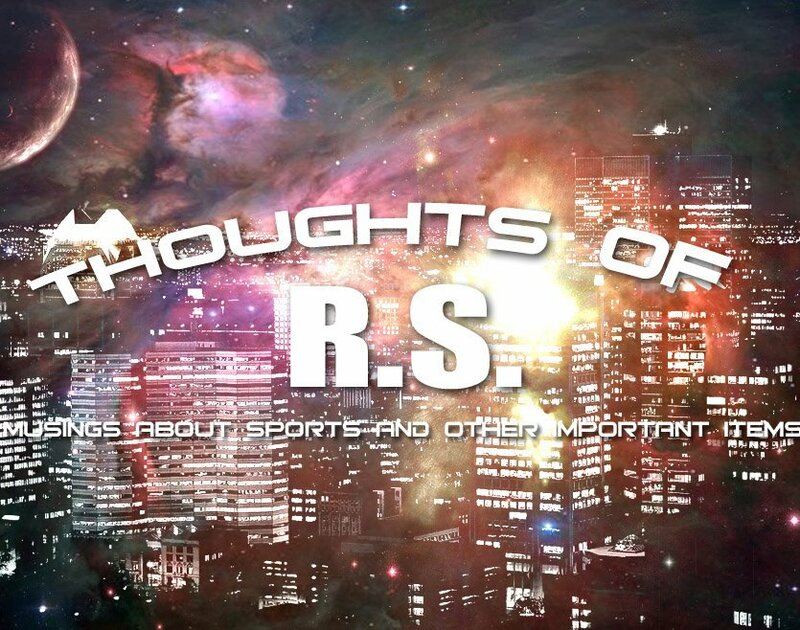 A quick note for the latest to join the TRS family as we will begin coverage of the Cleveland Cavaliers. Thanks to the generosity of our friends at DirecTV,we will be enjoying NBA League Pass this season and I have decided to add Cavalier coverage to the blog for the season. Time permitting today,I will try to have a season preview for the team up before tonight's opener with Toronto. It feels great to bring a former passion back into the fold as my attachment to the Cavaliers were a very strong one from the mid 70's-late 90's and I look forward to renewing the passion,despite what appears to be a season filled with more losses than wins. A upfront caveat,as Rachel said (rather told !) when the Devils and Cavaliers play at the same time-the Devils come first.That will happen on both of the first two games of the season,so I will make my best attempt to tape the Cavaliers tonight and watch them later/tomorrow morning. Bad coaching,poor decision making and out and out dumb play added up to foil a Cleveland Browns rally as the Browns lost to the Baltimore Ravens 20-14. Baltimore led 20-0 until late in the third quarter when Josh Cribbs took a Raven punt 84 yards for a touchdown. 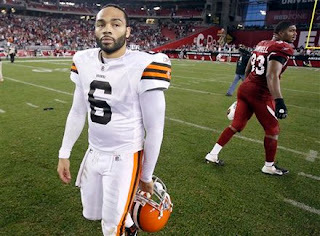 Seneca Wallace's fourth quarter pass to Evan Moore for a six yard touchdown pulled the Browns to within six,but a late drive was stopped on downs in Baltimore territory and Phil Taylor jumped offsides on a fourth and two that allowed Baltimore to run out the clock. Peyton Hillis ran for 115 yards for about the only real offense for Cleveland on the day. 1) I am sure today's post will sound negative,but I do not see tons to be positive about. First,lets address the first drive of the game. Peyton Hillis is in fine form and the Ravens cannot stop him. It is third and one on the Baltimore 30. Remember early in the season on a similar drive that screams HILLIS,where Pat Shurmur got too cute for his own good and called a pitch play to a guy that was not even on the team in a few weeks? Well,Pat Shurmur Take two as the Browns do not even play action,they call a pass,which is promptly picked off. 2) Seneca Wallace takes the blame for the run play at the end of the first half,which resulted in zero points inside the Ravens five as the clock ran out. In any event,Seneca Wallace is always talked about as such a great backup with his experience,shouldn't that experience have enabled him to think twice about a run play with no timeouts and audible to a pass??? 3) Phil Taylor's jumping offsides on a final fourth and two and handing the game to Baltimore is inexcusable. All the players had to know that Baltimore was trying to get the Browns to jump and worst case for them was an extra five yards to play with for the punt. 4) Rich Gannon about drove me nuts in this game as I counted at least four times that Gannon claimed that "Pat Shurmur was one of the best play callers in the NFL". 5) Second strong game in a row for Peyton Hillis,this time against one of the leagues best run defenses that was geared to stop him. 6) Biggest issue with playcalling? Same as it was last season with Brian Daboll. It seems like every critical third/fourth down always starts with a pass well short of the first down markers. This might be overcome with better receivers,but not with what Cleveland has now. 8) Joe Haden is still a fine CB,but his play has dropped over the last month. 9) I was starting to think Josh Cribbs might have been past his prime in the return game,but his return yesterday was enough to make me think that perhaps his nagging injuries really are at fault for a less than dazzling season. Cribbs and his returns are such a huge part of the team that something big is missing when his play is off mark. 10) My need list for next season? 11) Teams to root for next week-Colts and Jaguars play each other and no matter which wins helps the Browns.A Colt win would give the number one to the Rams,who might deal the pick since they have Sam Bradford,A Jaguar win leaps the Browns over them in the draft. Root for the 49ers to beat the Rams as that would keep the Rams in either the first or second slot and root for the Vikings to beat the Bears,as that would move the Browns up a slot. 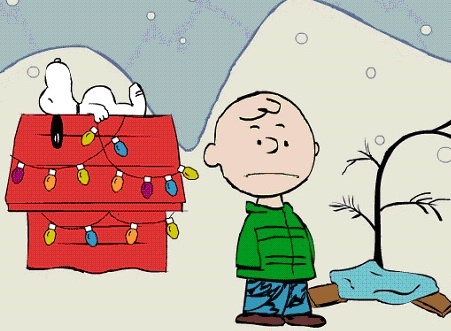 Just wanted to wish everyone a Merry Christmas before I ran out of time to do so. I hope to have time later today to announce our Christmas present to some of you out there,so stay tuned. Enjoy the holidays and thanks for making this our second best month ever with a week to go-look out hit record!!! The New Jersey Devils dominated the second period and entered the final intermission with a 3-0 lead over the Washington Capitals. They would leave the final twenty minutes fighting for their life with the game tied at three. Fortunately,the Devils are very difficult to beat in shootouts and when Ilya Kovalchuk and Patrik Elias both scored in the session,the Devils grabbed a 4-3 win and two points in the standings. Ilya Kovalchuk ( 11 power play),Adam Henrique (9) and Alexander Urbom (1). 1) As concerned as I was about the Devils handing another three goal lead away,I felt fine once the shootout arrived. The top three Devils (Kovalchuk,Parise and Elias) in the shootout all thrive in the matchups,so I usually feel pretty confident when things get to that point. New Jersey is 8-1 in shootouts this season. 2) I am concerned though with the lapses that seem to continue to happen and wind up handing teams a point when they are on the way to earning none. 4) One could say the goal itself helped the Devils to the win as the pipes stopped at least three Washington shots that looked likely to go in. 5) Happy to see Alexander Urbom score his first career goal and on an pretty pass from Travis Zajac to boot. Super pass and nice to see Urbom showing some offensive aggressiveness as well. 6) I liked seeing the Washington throwback uniforms as well.The Capitals togs are better than the blue and gold that they wore for a while in Jaromir Jagr's run with Washington,but I still like the originals better . 7) Best thing about the game? No more forced Craig Laughlin games until March! 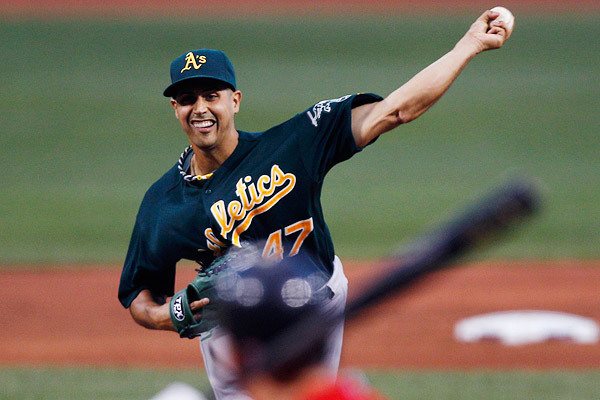 The Washington Nationals obtained the proven arm that they had been looking to anchor their starting rotation in Gio Gonzalez from the Oakland Athletics. Gonzalez steps into the rotation with Stephen Strasburg and Jordan Zimmerman in what suddenly looks to be a possible contender for the wild card or even the NL East with another addition of a quality bat. The Athletics,who are in full blown players for prospects mode,have now traded their two top starters from last season (Gonzalez and Trevor Cahill) in moves that they hope to will stock their system and play cheaply for them as soon as this season for a few of the new acquisitions. All four of the new members of the Oakland organization have played at Hagerstown for the Suns at various times. Pitchers Brad Peacock and Tom Milone will both have excellent chances to start the season in the Oakland rotation,catcher Derek Norris will either try AAA Sacramento or attempt to master AA at Midland after a mixed review for AA Harrisburg last season and pitcher A.J.Cole will likely start at High A Stockton in the hitters paradise that is the California league. Washington kept their top two prospects,but traded the pitchers that were closest to the bigs from the system and sent two other future prospects as well. Oakland did not add a player that is older than 24,so they at least did not waste time with AAAA types that are filled with question marks. Brad Peacock was terrible in Hagerstown,I thought I had a better chance of pitching in the majors than Peacock,but there is no denying his numbers in 2011. I know many that are higher on him than I,but perhaps that is because my memory is of the awful Hagerstown Sun,not the dominant pitcher at both double and triple A last season. Tom Milone is the type of pitcher that gives nothing away,looks like he is throwing beach balls and at the end of the game,you have a "comfortable collar" in the box score. Milone's lack of outstanding stuff tends to underrate him in the eyes of scouts,but I can see Milone compiling quite a solid career in the middle to back of a teams rotation.. I was higher on Derek Norris at this time last year than I am now. Norris has above average power,but he swings and misses often (over 200 strikeouts combined over the past two seasons) and his contact has fallen at an alarming rate. Honestly,I thought Washington might have been in a hurry with Norris in 2011 starting him in Harrisburg,when he really had not mastered Potomac. Norris had young catchers in front of him (Wilson Ramos,Jesus Flores),so Washington was dealing from a position of depth. Norris does throw well and there is always a space for catchers with plus power,so I have not given up on him yet.. I really liked A.J.Cole last season and think he has the highest upside of the four prospects in the deal. 108 strikeouts in 80 innings will solidify prospect status,but I also liked his smooth delivery and the way the ball comes out of his hand. As an overall prospect,I like Cole the best of the bunch,although he has most risk between his age (20 in 2012) and his being still in the lower levels of the system. To me,it looks like both teams accomplished what they needed to and looks like a trade that both sides should be pleased with. Time for a quick swipe of the inbox as we close in on the holidays. Not a ton has built up,but sometimes that is the best time! First on the docket features the USPS,who claims that they are losing so much money due to the internet that they need to close down mail processing centers since they have yet to be allowed to cancel Saturday delivery in yet another dumb idea. The closings will trim first class mail delivery from one to two to a new standard of two to three. The Cleveland Indians signed two players and dealt for a third in an attempt to salvage some fading careers. Former Cubs top prospect Felix Pie and veteran utility infielder Jose Lopez were added from the free agent roster and outfielder Aaron Cunningham was acquired from San Diego for minor league pitcher Cory Burns. Pie struggled with the Orioles and Lopez is nothing special,Cunningham has been a long time favorite here,but has never been able to stick with a team and the Indians will be his fifth organization. Time for a word or two on the Ohio State sanctions that will leave Ohio State without a bowl game next season. This should be the last straw for President Gordon Gee and Athletic Director Gene Smith,who have botched this at every turn from day one. Ohio State should have sacrificed this season with a mediocre 6-6 Gator Bowl team and been able to hit the ground running under Urban Meyer. One year will likely not make a difference in the big picture,but the bungling pair should have hit the program harder when the loss of a bowl would be no big deal. Finally,thanks to Rachel for putting this up on YouTube. See if you recognize any of these people!! Looks like time for a fun post to write after a few days of Browns and Devils losses and the news about the Hagerstown Suns, I could use a lighter-hearted post to work on. On my recent day trip, I managed to take care of half of my promised Akron Cheeseburger Food Feud on the way home. With time being a restriction, I consider myself fortunate to get that much accomplished, as by going out of the way a little on the ride home, I was able to also see something that I have always wanted to see as well, which I will address in a future post. 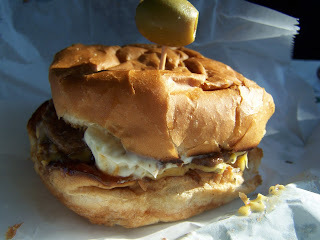 competitor-Skyway drive in and their Sky High burger. I drove a little out of the way to find the Swensons location in Stow, Ohio(just outside of Kent) and it was well worth the time. I was not really hungry yet but wanted to try the vaunted Galley Boy, which is the Swenson's featured burger. I didn't order other items, but Rachel had a Vanilla Milk Shake, which she reports as tremendous. 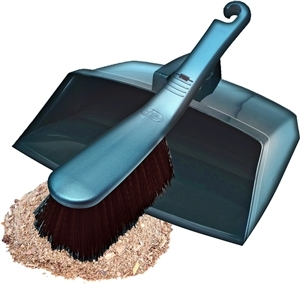 However, the service was very friendly and reasonably fast, considering the time of our visit. 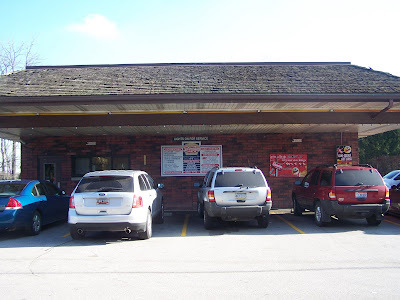 Swenson's old-time car hops (No skates though) run from car to door and I do mean RUN! I would highly doubt that one would see an out of shape person working at Swenson's unless they would be the cook because they have little choice other than to get into shape with all the running! Swenson's rolls are all homemade and brought in daily from a local bakery, which gives the roll a fresh baked taste. The beef that they use is also a special mixture that they do not publicize, so things are kept in house for the most part, which usually results in better food. The Galley Boy comes with two patties, extra cheese, and two special sauces. You can add anything else to the burger, but that is the basic model. I added some pickles but wanted to keep things as basic to the burger as I could for the first time. All Swenson's sandwiches come with a green olive toothpicked through the top, which is fine by me-I like olives! The two sauces are barbecue and tartar and I must admit as not being a huge fan of barbecue sauce, I did have some concerns about the Galley Boy. My first bite hit more of the BQ and the lovely Cherie asked what I thought about it thus far. Honestly, I was non-plussed, but it was not bad. Then, a change as the BQ mixed more with the tartar sauce that created an awesome mix of tart and sweet that I loved. Just that simple and quick, I went from a 'this is OK, but what's the fuss" to zooming up the charts on my burger list. As our carhop took the trays away, I told him we were visiting and would be hitting Skyway in the future and I asked what makes Swenson's better than Skyway? He quickly blurted out the response in a voice that I reserve for discussions on the michigan Wolverines-"The Galley Boy is unique, the Sky High is just a glorified Big Mac! and we run everywhere for the best service, they walk to your car and act like you have all day!". All and all, I recommend Swenson's the Galley Boy highly and I am sure that I will return one day for another Galley Boy, but to be fair, next year-Skyway will get its turn at bat. Also thanks again to Tom Noe for the idea of these stops with pictures from his blog Exploring Food My Way, found in the links to the right. The New Jersey Devils played a solid two periods before defensive breakdowns in the third period allowed the New York Rangers to score two goals that were followed by an empty net tally in a 4-1 Rangers triumph. Travis Zajac scored the first goal of the game (1) in the first period for the only Devils goal. 1) The Devils had their chances against Henrik Lundqvist,but except for Zajac were unable to slam the door. 2) Patrik Elias missed the game with the flu and I am sure that played a part in the loss. 3) Defensive breakdowns on two Rangers goals. Kurtis Foster barely moved against Artem Anisimov's goal,who was barely impeded by Zach Parise on the backcheck and Karl Hagelin on yet another shorthanded goal was the result of another Ilya Kovalchuk puckhandling miscue on the power play. 4) Martin Brodeur might have had an excuse on the Anisimov goals,but was badly beaten on goals by Marian Gaborik and Karl Hagelin. 5) Ten shorthanded goals allowed this season. 6) Adam Larsson will miss the next two games to return to Sweden for the funeral of his grandmother. Before I begin with the late recap of the Browns loss in Arizona,I would like to thank everyone for reading yesterday's post,which caused the delay in this post. Yesterday was our all time record for hits in a day and I would like to thank everyone for that. I do not plan on further posts on the Suns unless the news indicates the need. I also have not forgotten about my other day trip posts which will be coming soon.. The Cleveland Browns held leads of 10-0 and 17-7,but managed to keep the Arizona Cardinals hanging around enough for the Redbirds to send the game to overtime and then lose it there 20-17. Greg Little was the star of the game finishing with five catches for 131 receiving including a 76 yard touchdown catch and run for the Browns. 1) Greg Little showed why he may not be a number one receiver,but in the right situation could be one of the leagues best two number pass catchers. 2) Seneca Wallace was the game manager in this one as he did little spectacularly,but other than the fumble that allowed the Cardinals field position for the tying score,did a good job in keeping the game buttoned down and not making a mistake at critical times. 3) Peyton Hillis ran well in the first half and finished with 99 yards on 26 carries,but in the fourth quarter the Browns appeared to get away from the run and that could have been a key factor in the loss. Hillis ran the ball just five times in the fourth quarter and two of those were just glorified kneeldowns as the team played for overtime. Perhaps a longer run game commitment might have enabled the Browns to hang on for the win..
4) Four sacks for the Browns on the game with Jabaal Sheard and Chris Gogong each collecting two sacks. Sheard continues to make a run at defensive rookie of the year,while Gogong continues an impressive run of games that has shown better value for his contract extension than I expected. 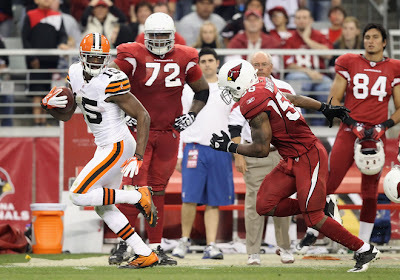 5) Josh Cribbs was replaced by Buster Skrine as the kickoff returner late in the game. This may be heresy to say,but between Cribbs injury issues and the speed of Skrine-I might make this change for both of the final two games. Skrine is healthier and faster at this point and could be an upgrade in the return game,not to mention Skrine's interception in his playing time at corner,where he shared snaps with Sheldon Brown. 6) The biggest question to me on the day was this-How could you let arguably the top receiver in the game so wide open down the field in overtime? The Browns had double and sometimes triple teamed Larry Fitzgerald and suddenly in overtime,you play him one on one? Either that was a reckless gamble by the coaching staff or a blown coverage by the safety that should have been involved on the double team,which looked to me to be rookie Eric Hagg. 7) Speaking of Hagg,who is just starting to see the field more often,I liked what I saw from the seventh rounder. Hagg's hustle on one play coming across the field to knock Early Doucet out of bounds saved the Browns a touchdown. I am in favor of seeing more of Hagg in the final two games. 8) The Browns lost Alex Smith for the season with a shoulder injury. 9) Big question as always-Better to lose and pick higher or win games? At this point,the best thing for the future is to lose,but you always have to try to win. 10) I can be critical of Tom Heckert for not being active in free agency,but I will not touch him for talent evaluation in the draft. Every pick in last years draft except for the injured Owen Marecic saw significant playing time yesterday and played reasonably well. Now,some of that is that the Browns are bad enough that time was there to be had,but when you are getting quality time from rookies picked in the 5th (Buster Skrine and Jason Pinkston) and 7th rounds (Eric Hagg),the GM knows talent. As down as I am on Pat Shurmur as coach,that is how high I am on Tom Heckert at general manager.. I spent yesterday talking to people close to the situation with the Hagerstown Suns and it could be a shell game process that will result in the Hagerstown Suns moving to Winchester VA for the 2013 season. Winchester Virginia will likely be building a new stadium for the Suns,placing it near I-81 (Which will be looked at as one of many local bungles by the Hagerstown/Washington County Government through the years as a spot near BOTH I-70 and I-81 was offered for free and the offer was not acted upon) and could be purchasing a portion of the team as well. Editors Note-It has been brought to my attention that the above site offer was not free. The purchase of a minority share of the team is interesting because as far as I know,the Suns would be the first full season minor league team that would have some ownership by the community that they play. So in this possible scenario,the team is asking for a new stadium and funding from the city of Hagerstown at the same time as they talk to the Winchester area. Sound familiar to any moves that sports teams have made in the past,sports fan (COUGH MODELL COUGH)? Please keep in mind that despite the good intentions of Tony Dahbura,who I believe really does want the team to stay in Hagerstown and is operating a desperate effort to pull off a miracle,Dahbura owns less than one percent of the team. That would mean that IF the Washington County Commissioners decided today to pull their fair share of the weight that the Hagerstown City Council have decided to pay for,the majority owner of the Suns would be under zero obligation to to accept an offer that Dahbura has been attempting to expedite. Only Tony Dahbura and Dr. Mitesh Kothari ,the other local owner, has strong interest in making sure baseball stays in Hagerstown. The remainder of the the ownership group has no ties to the Hub City,which shows the downside to non-resident ownership,although it certainly is not a reason to never sell to someone that is not residing in the area. Now lets also be be fair-this could be an elaborate negotiating tactic,it happens all the time in these things. A new/renovated stadium is a must for any team in Hagerstown-ANY,whether it be the Suns,a short season team or independent baseball-NO team is going to want to play at Municipal Stadium under the current property situation. I would have little blame to place on team ownership,if they did decide to leave. This area has listened to four owners cry wolf about the current status of Municipal Stadium and in all cases,but the current owners,the answer has been to sell the team and not leave town. The local government does not take these threats seriously. Looking at the bottom line-I do. The end game to all this? If I were a betting man and on occasion I have been known to be one-I would toss a dime or two on the end of baseball in Hagerstown for at least a few years,having to build/renovate the Muni anyway for the reasons above,having to settle for either independent baseball or a New York/Penn league team that the city.county.new organization will have to pay off the Frederick Keys (who will be the ultimate huge winner in this scenario) in order to get into that league and by the time it's all over,the fans that have left have found other things to do. You see,anytime that things leave town or go for while,they lose a chunk of what they had when they return. Some people quickly return for their fix,but many find things to fill the gap and do so quite successfully. Baseball in Hagerstown never truly recovered from the drop from AA to the Low A level,I would wager that a drop to short season or Indy ball would drop interest further. I doubt that independent baseball would be a huge hit here and short season baseball is really a little over two months season,people will fill the time and move on. The die hard fan will still be there,but if there were tons of those around,this would not even be an issue,would it? Is there hope for the Hagerstown Suns to stay just that? Sure,but not unless the politicians put the heat on the team to stay by calling their bluff-give them what they asked and see what happens then. If they leave anyway,they become the bad guy,not the local government and the city/county can honestly claim that they did all that they could do and instead of just posturing. If the deal goes down after that,then the move was sealed far before any of the attempts for local funding had started. Make the team HAVE to make the hard decision,not one that was an easy call to decide. When contacted,Hagerstown Suns General Manager Bill Farley had no official comment for this article. Elias sets club record in Devils Win! Patrik Elias scored two goals (12 powerplay and 13) to lead the New Jersey Devils to a 5-3 win over the Montreal Canadiens in Montreal. The goals allowed Elias to pass John MacLean and become the all time leading goal scorer in Devils history with a total of 348 on his career. Three other Devils also scored goals as David Clarkson (11),Dainius Zubrus (10 powerplay) and Petr Sykora (8) did the honors for the visitors. The Devils have now won three games in a row and six of their last seven to climb to sixth place in the conference and within striking distance of the three teams ahead of them inside the Atlantic Division (Flyers,Rangers and Penguins). New Jersey takes two days off before a home game against the hated Rangers. 1) Patrik Elias may not be the best forward in Devils history,but he certainly has been the most consistent and truly deserves the honor of highest scoring Devils. 2) Cheap shot elbow thrown to the head of Adam Larsson by one of my least favorite players in the league in Erik Cole. Larsson was down on the ice for a few minutes but was able to return. Exactly the type of play that I expect from Cole,who was penalized and deserves a fine and/or suspension for the reckless play. 3) Two goals on the powerplay in this one,which is a very encouraging sign for the struggling unit. 4) Dainius Zubrus had a terrific game including a goal,but it was more than just that. Zubrus was physical and dominant in his time on the ice. 5) Second game in a row that Bryce Salvador bailed the Devils out of allowing a goal with a sprawling play on Tomas Pleakanac. Salvador is stepping up his play during the winning streak and makes me feel almost bad for criticizing him recently!!! The Zach Parise roll continues with a goal (11) and three assists as the New Jersey Devils battled back from some early struggles to defeat the Dallas Stars 6-3 at the Rock. Six different Devils scored on Scott Niedermayer night to balance out the scoring-Patrik Elias (11),David Clarkson (10),Ilya Kovalchuk (10),Adam Henrique (8 shorthanded) and Petr Sykora (7). Johan Hedberg made 33 saves in picking up the win in net. The Devils win was their third in a row and fifth in their last six outings. 1) The Scott Niedermayer ceremonies were very tastefully done as the Devils usually do these things very nicely. Niedermayer is a humble guy and points to the team for bringing Doc Emrick back to do the master of ceremonies for the proceedings. 2) Travis Zajac returned from the Achilles injury that postponed his season start and played more than I expected,as well as playing solidly. I don't expect Zajac to be at peak form right away,but his return will be a huge addition to the Devils. 3) Some speculation on a Zajac return to a line with Zach Parise-I am in no rush to see that as Parise seems to have terrific chemistry with Adam Henrique right now. These things ebb and flow,so I am sure the reunion will happen eventually,but I am in no hurry as long as things stay at their current level. 4) Great play last night by Bryce Salvador,who dove into the crease to block a certain goal and batted the puck out instead of covering it up. 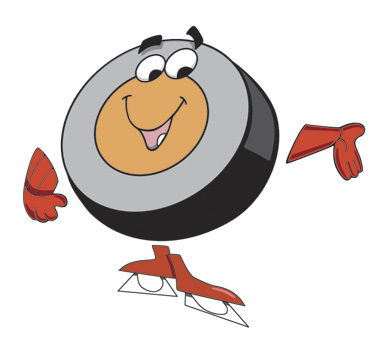 Had Salvador covered the puck,Dallas would have been handed a penalty shot. 5) Zach Parise is playing like a man that has to have that contract extension,His four point game aside,his steal and transition pass to Adam Henrique for the shorthanded goal that tied the game was terrific. 6) The Henrique goal gave the Devils the league lead in shorthanded goals scored and the unusual stat of league leading in shorties scored and allowed. 7) Anyone else surprised that approaching Christmas David Clarkson has the same amount of goals of Ilya Kovalchuk ? 8) Henrik Tallinder missed the game with back spasms. No word on his status for tonight. 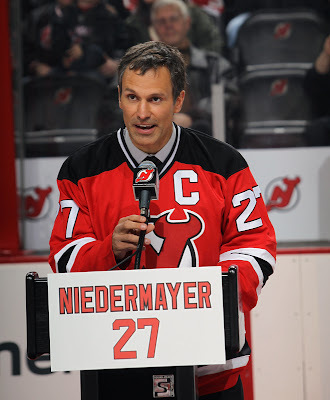 Tonight is Scott Niedermayer night when the New Jersey Devils host the Dallas Stars as the future Hall of Famer will be the latest number to be retired as his 27 will be raised to the rafters to join Scott Stevens and Ken Danyeko. Unlike many Devils fans,I was not mad when Niedermayer left the team via free agency to join his brother Rob in Anaheim with the Ducks. The guy wanted to play on the same team with his brother and the Devils were actively attempting to keep him with a strong offer,so I did not blame any of the parties as these thing just happen sometimes. Lou Lamiorello knew that was a major factor in keeping Scott Niedermayer in New Jersey as I recall many occasions that the Devils attempted to acquire Rob-knowing that would be a key factor in free agent negotiations. Niedermayer was another shrewd player personnel decision,although it was not directly on him. The Devils knew that Eric Lindros and Niedermayer were the class of the 1991 draft,but that was two years away. Toronto was the middle of one of their many gotta win now modes in 1989 and the Devils swapped defenseman Tom Kurvers for the Leafs 1991 first round pick,which proved to the third overall and landed the Devils what was the best two way defenseman in the teams history. Niedermayer would also win the Norris Trophy for the leagues best defenseman in 2003-94 and would spend much of his Devils tenure paired with Scott Stevens,which for my money ranks right up with the best defensive pairings that the game has ever seen. The speed and skating ability of Niedermayer combined with the strength and fearing hitting ability of Stevens was arguably the key ingredient into three Stanley Cups in New Jersey. Thanks for the memories 27 and tonight's honor is a richly deserved one! The Pittsburgh Pirates added an insurance policy against the struggles for Pedro Alvarez for the 2012 season as they sent reliever Jose Veras to the Milwaukee Brewers in exchange for third baseman Casey McGehee. McGehee was made expendable by the free agent signing of Aramis Ramirez by Milwaukee. McGehee also can fill in at first base and second base on occasion and adds some alternatives to Alvarez,who hit under .200 last season. 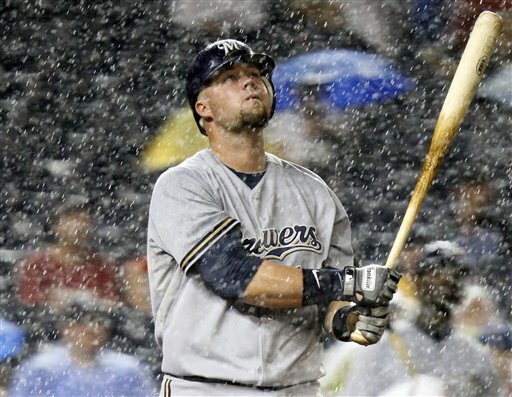 McGehee had very strong seasons in 2009 and 2010 for the Brewers before tailing off considerably last season. McGehee hit 23 homers and finished with over 100 RBI in 2010,although my suspicion is that was his career season. The question is the true McGhee the .280,16 HR guy in just over 300 at bats in 2009 or the 2011 version that hit .223 and 13 HR's last season in over 600 at bats? Jose Veras was decent enough last season,but he struggled in the second half and with him being arbitration eligible was probably going to get more money than his true worth. I have always believed the toughest position to count on from year to year is relief pitching as so many bullpen pitchers yo-yo up and down from year to year that I am hesitant to pay many of them on past performance as their future stats are far less of a guarantee than at any other position. I am doubtful that Veras will be missed much as guys like him as reasonably easy to find as teams build their bullpen for next season. Casey McGehee might not be the answer that Pirates fans are looking for,but I think he will help and will do at a excellent value compared to his cost. I usually like deals that bring a player with decent power potential/stats for relief arms,so I like this one. Pittsburgh did not add Prince Fielder or anything,but at worst added a legit power bat coming off the bench in late inning situations. Hey Hagerstown/Washington County-Time to walk the walk!!!! The Hagerstown Suns want a pledge on badly needed stadium renovations. Well,I wish that I was able to do this as my full time job,but that is not going to happen,but hopefully the Suns can get what they need from the city of Hagerstown and Washington County,because I take their words very seriously. The Muni was the joke of national media last season when just about every major media outlet (Television,radio,magazines and trade papers) visited there last season as part of the Bryce Harper extravaganza and it is time for the city and county to put up or shut up. The Muni is over 80 years old and with a few exceptions looks every bit of it. I am not saying give the Suns a free ride.Far from it,but at least meet them halfway. Offer to pay some of the costs,give them some breaks on some of the things that they pay for now,if they toss extra dollars into the kitty. For a town of the size of Hagerstown,the residents are extremely fortunate to have professional baseball as there are towns that are bigger and ready to pay up to bring the South Atlantic League to their town. And trust me,once the team leaves-Hagerstown will not be getting a team back. The Frederick Keys will be able to block ANY team in organized baseball from returning to Hagerstown once there is no longer baseball here and bet your last cent that they will do just that. The doubling of the hotel/motel tax over ten years ago was supposed to pay for a NEW facility and instead has gone to silliness such as BluesFest. The time has come for the money to go to where it was intended to go-Municipal Stadium or its replacement. I have seen stadiums the age of the Muni (Lynchburg VA) turned into nice facilities,a renovation can be done. I'll be watching and any person that stands in the way of the Hagerstown Suns remaining in town will find themselves with a person that will work tirelessly to make sure that they are out of elected office. Do the right thing for the people of this community and protect a treasure that will be unable to be replaced. Contact members of the Hagerstown City Council here and the Washington County Commissioners here. The New Jersey Devils had fallen behind 2-0 to Kris Versteeg (err Florida Panthers) after the Vertsteegs scored their second goal of the game in period two. The end result did not look good for the Devils. That was as bleak as it would get for fans of the red and black as less than a minute later,Patrik Elias put New Jersey on the board (10) and Zach Parise tied the game (10) in the third period to force overtime and the eventual shootout. As you know (or you should!) the Devils usually win when it gets to the shootout and in this one the result was no different as Ilya Kovalchuk and Patrik Elias each scored to pair with Martin Brodeur swatting aside both Panther shots to give the Devils two points and a 3-2 shootout win. The win was a little bit of payback for the Devils meltdown from a 3-0 lead in a 4-3 loss that occurred in the previous trip to Miami this season. The Devils have won four of the last five games and take two days off before hosting Dallas Friday on Scott Niedermayer night. 1) Great night for Martin Brodeur,who was helpless on both Versteeg goals. He did not face a ton of shots,but was more than solid in net with 24 saves. Could it be that the increased play for Johan Hedberg has actually been beneficial for Brodeur? 2) Bad breakdowns for the Devils on both goals. Adam Larsson's lazy pass to the center in the Devils zone was intercepted by Stephen Weiss,who flipped the puck to Kris Versteeg beat Brodeur one on one and Henrik Tallinder's turnover was even more inexcusable considering his veteran status as he handed the puck to Versteeg on a poke check and allowed yet another shorthanded goal. 4) Another great night for the Zach Parise/Adam Henrique/Ilya Kovalchuk line,which clearly was the dominant line on the ice. 5) Kurtis Foster made a quiet debut,although he did see some power play time.Foster does have one thing that this team has nowhere else among the blueliners-a booming shot. If Foster is going to make an impact on the team,it is going to be at the point on the power play. 6) The Devils expect Travis Zajac to return either Friday against Dallas or Saturday against Montreal. Zajac's return adds more offense to a team that could use it. 7) Jacob Josefson is still expected to miss four to eight more weeks recovering from his broken clavicle. Belgrade Gardens "Medium" White Meat! First of two posts that are related to food on the Xmas shopping day trip and we will start with the Barberton fried chicken that ruined all other fried chicken for me since last year's stop. Since last years stop at Belgrade Gardens,I might have had three pieces of fried chicken and that could be an exaggeration! 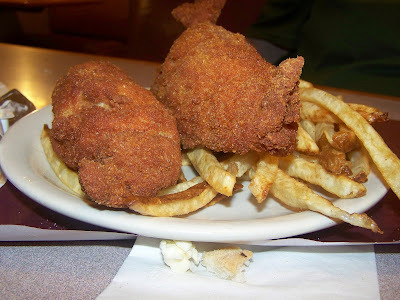 Sometimes in life,you have something that is so good or so enjoyable that makes everything else pale in comparison and that is the case with the chicken at Belgrade Gardens in Barberton Ohio. Belgrade Gardens was our second stop of the day and Rachel's clear favorite. 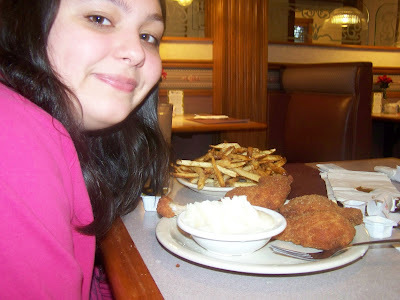 We always eat at some super places on these trips and this time we did not have the time to squeeze in some long time favorites such as Skyline Chili and Steak N Shake,although we were able to stop at Quaker Steak N Lube (love their boneless wings) on the trip and Primanti Brothers on the way home outside of Pittsburgh. I was in the mood for a Corned Beef sandwich and Primanti's corned beef was awesome! There just was not enough time or empty stomachs to handle all of those places on this short excursion,but I recommend all of the above places as well as another stop that will be a future post. Rachel being almost held back from her year long wait for Belgrade Gardens!! However,after last year,I am not sure that I would have been able to make it home without a stop at Belgrade Gardens as Rachel's favorite food is fried chicken. I wrote last year about how the Gardens prepares their chicken,so check the link above for more,but I wanted to actually SHOW you what Belgrade offers and no,there is no compensation coming to me for the free advertising! I order the medium of their offering which is my dinner (the white meat) is one,two or three breasts with two sides.For me,two is plenty,when you consider the size of the sides as seen in my order at the top of fries and the bowl of cole slaw shown here. For my money,the slaw is an added bonanza as I still think that it is the best slaw that I have ever had. Very vinegary and with a touch of pepper,the Belgrade slaw has never been beaten to me thus far. 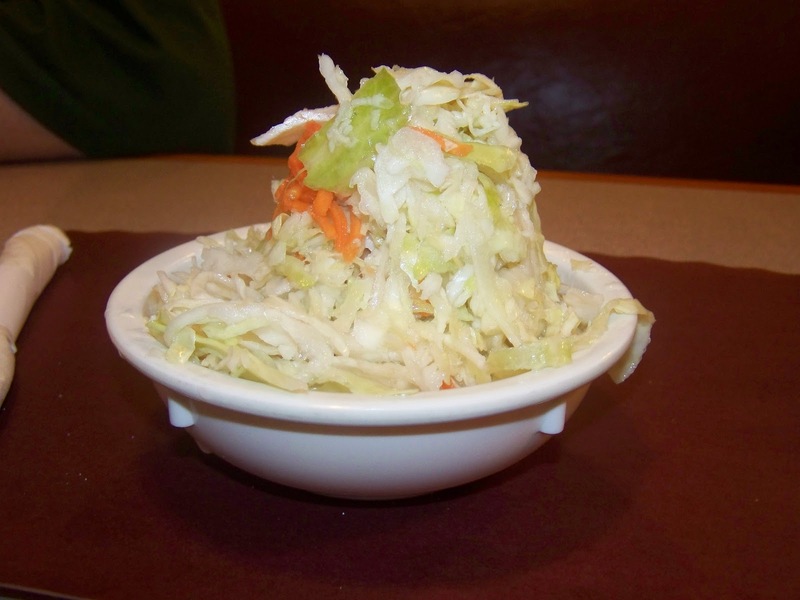 I like slaw,but I am not a fan of slaw that uses Miracle Whip as one of its bases (I cannot stand Miracle Whip),so I am kind of selective when it comes to Cole slaw. I give the same type of elite recommendation to the slaw at Belgrade Gardens as I do the chicken and that is one high compliment. The Center of a Belgrade Gardens Breast! When the chicken arrived,I wanted to get some pictures as I borrowed the idea from Tom Noe,who does this all the time over at his blog Exploring Food My Way,which is located in our links section. If you are wondering why the shape of the chicken breast is different than the breasts sold in most areas,remember that in Barberton,the back is removed and sold as "chicken ribs",which gives the breast a unique look. The chicken is so juicy and firm that it almost seemed a pity to eat. The crust is so crunchy and tasty that I ate the crust leftovers alone! Please keep in mind that is coming from a person that generally does not bother with crusts on chicken,pizza or much of anything else as a non-bread person. Texture can almost be as important as taste many times and that certainly is the case here as both complimented each other perfectly. The Gardens also sell pies that looked very good,but I did not have the room for anymore after the "medium" meal.I would hate to see how full that I would be ordering the large! Zach Parise took over a tie game in the second period with a goal and two beautiful assists in the middle time frame to give the New Jersey Devils the cushion that they needed to hold off the Tampa Bay Lightning 5-4. Parise's goal (9) returned the lead to the Devils after a lost two goal lead in the first period. The remaining Devils netburners to Ilya Kovalchuk (9),Dainius Zubrus (9 power play),Adam Henrique (7 shorthanded) and Petr Sykora (6). New Jersey travels further down the highway to Miami for a game at 7:30 tonight against the Panthers. 1) Zach Parise was the dominant player in the game without a doubt. With a bit of luck,he could have added two more goals on the evening. Terrific game from the Captain..
2) The two passes on the Kovalchuk and Henrique goals were exactly how to use the man advantage on the breakway against the outnumbered defender. 3) Adam Henrique had a goal and two assist evening that might have been overshadowed by the Parise game,but what I like the most about Henrique is that he finishes. By that I mean that if you give him solid opportunities,he gives you a chance of scoring. 4) I do wish the team would have not allowed the Lightning to crawl back into the game. 5) Still too many penalties as Devil blueliners committed four penalties in an eight minute span in the second period,two of them by Adam Larsson. 6) Three fights in this one.David Clarkson vs Ryan Malone was the best one,but despite a loss in his fight,I was glad to see Alexnader Urbom drop the mitts against Steve Downie. Many times,players and fans see Swede and think soft. Urbom is attempting early on to avoid that tag. 7) The Devils swung a trade before the game as the team sent center Rod Pelley and defenseman Mark Fraser to Anaheim along with a seventh round draft pick in exchange for defenseman Kurtis Foster and minor league goalie Timo Pelmeier. Foster is reported to be a power play specialist and his righthanded shot fills a need for the Devils PP. Foster is a question mark to play in Florida tonight,although he may,but is a definite for Friday night against Dallas. I'll miss Pelley and Fraser as effort guys,but both are the type of players that can be easily replaced on the talent end of the spectrum. Should the NBA be rejecting trades? At first hearing of the NBA rejection of the three way deal that would have sent Chris Paul to the Los Angeles Lakers,my first thought was -good for them! Finally,someone has stood up against this madness of wanting only a handful of teams to have all of the best stars. Wasn't there a reason that the league staged the lockout? The league does own the New Orleans Hornets for the time being and they should have some say in things,but upon reflection,maybe it was not such a great idea. The Hornets would have added 4 nice players and would have rebuilt their starting lineup instantly and the Rockets would have added Pau Gasol,leaving the Lakers with only the oft-injured Andrew Bynum as a front court piece of any substance. So,I changed my mind-I wish the league would not have done so and needs to let the guys running the Hornets do the best with what they have. Chris Paul today is close to being traded to the Clippers and the league is holding that up over Eric Bledsoe not being included in a deal that looks to be even better for New Orleans. The deal is reported to add Eric Gordon,who the Clippers didn't want to add and the Timberwolves unprotected likely lottery pick for 2012. Initially,the Clippers did not want to deal Gordon OR the pick and now they are willing to deal BOTH and the league wants to hold this up over a guy that averaged six points a game last year??? Los Angeles will also send 2010 first rounder Al-Farouq Aminu and veteran center Chris Kaman,who is injury prone,a solid center when healthy and has an expiring contract at the end of the season to add cap space to the Hornets next season. This trade is an even better one for New Orleans,if the league rejects this one they have no excuses whatsoever. 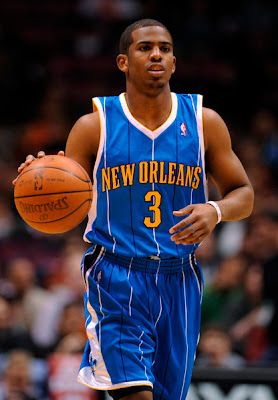 As far as Chris Paul goes,I have always liked him from his Wake Forest days and he has always been fun to watch,but another superstar making demands on where he has to play and with whom,makes me sigh in disgust again. This type of stuff is why the once flying-high NBA is losing ground to the sports fan. Free agency has its pros and cons,but sometimes I wonder if things were not better without it. Still,all things considered,I think my initial judgement was incorrect,the league should not be stopping fairly reasonable deals like either of these proposed swaps. NHL realignment-Bettman gets one right?? Today with the Devils and Seahawks playing tonight and my vacation nearing its end (two more days),I hope to try to get caught up with some of the promised posts from my day trips. 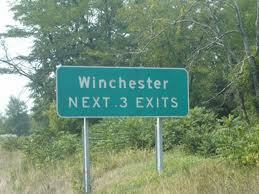 I'll start with the NHL realignment plan. In short and to my surprise-I like it. I could do without this silliness of all four being called "conferences" instead what they are in "divisions",but that is a minor quibble at best. My main problem with it is that the two Western groups (Although they do not call them that) have eight teams in each of their two,while the Eastern has just seven in theirs. In other words,if you play in the Western side-you have an extra team to have to finish ahead of to make the playoffs. My fix would be simple for that-add the Columbus Blue Jackets to the Eastern bunch and everything equals out nicely. This could still work out without touching anything as Phoenix could move and the new city could slip into a current seven team conference easily if needed (Quebec City?). Other than that-I really like it. Now you play every team in the league home and home every year (Check! ),you get to play the teams inside your division (oops,conference) the most times for rivalries (Check!) and you return to the fiercest battles in the hockey world-two rounds of playoff hockey inside your group against the rivals and teams that you know best (HUGE Check!). For the Devils,the plan worked out for the gate,but on the ice,the Devils group looks to be the toughest top to bottom with the three New York area teams (Devils,Islanders and Rangers) and the two Pennsylvania teams (Flyers and Penguins) that currently make up the Northeast Division being joined by former Patrick Division foe Washington and the Carolina Hurricanes. But,I like it because this is going to be the toughest division and the best to watch hard hitting hockey in of the bunch,so I really think this is going to work out. Winnipeg loses somewhat as they were placed with Chicago,Columbus,Dallas,Detroit,Minnesota,Nashville and St.Louis and being the only Canadian team in the group. I am sure the Jets would have preferred being placed with the Flames,Oilers and Canucks,but as the team grows,I would bet that rivalries will start with Minnesota and maybe someone else. I hope the league returns to tradition and renames the conferences like the old divisions-Patrick,Adams,Norris and Smythe,but if not here are my four names for them based on legends-Orr,Howe,Richard and Hull. Two Fight Saturday! Xavier brawls with Cincinnati,Peterson upsets Khan! Two fights this Saturday with one being sanctioned and condoned and the other being nowhere near the same. I always look forward to the Crosstown Shootout between Xavier and Cincinnati as I have written about before. Usually I am always watching it live,but with the Devils matinee' and Rachel's sudden intense interest in the Devils,I decided to tape the game and watch the Devils live. The game was a lopsided 76-53 beatdown as the Muskies paid the Bearcats back for a twenty point defeat in last years shootout,but the eighth ranked Musketeers will have more attention paid to the final few seconds than for a dominant victory as both teams brawled in what might be the ugliest fight in college basketball since the 1972 Ohio State-Minnesota brawl and has the potential to perhaps end the rivalry after 79 games. Strong double digit scoring games from four Musketeers and a double double from center Kenny Freese will be forgotten along with an excellent 18 point 12 board game by UC's Yancy Gates in favor of punches thrown,stomps missed and a bloody Freese being led off the floor. 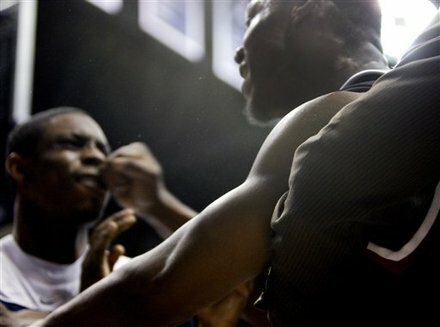 As an Xavier fan that does not have a true hatred for the Bearcats,I must admit that the words of Xavier's Tu Holloway afterwards does not help the program or the incident any and even if spoken out of adrenalin fueled emotion were still far from acceptable after an outburst such as this. Not exactly the type of words to calm the waters,is it? The game featured trash talking throughout,which is something else that the game of basketball could use cracking down upon,but nothing severe until the incident started. Mick Cronin of Cincinnati seemed much more concerned about things than Xavier's Chris Mack,who did not seem to take things as seriously,although I am not saying that Mack laughed it off either. I would wager that a handful of players will get one game suspensions with Xavier's Dez Wells getting the worst Muskie suspensions and Yancy Gates and Cheik Mbodj likely getting hammered with long suspensions for their antics. Washington D.C was the site of the upset of the day as the hometown fighter LaMont Peterson lifted the WBA and IBF Jr.Welterweight titles from heavily favored Amir Khan via a controversial split decision. Peterson won by 1 point on two cards after Khan lost a point on two separate occasions (In rounds 7 and 12) for pushing. Had only one point been deducted,Khan would have escaped the Nations Capital with a draw,if neither,Khan would have won a razor close unanimous decision. I scored the fight 113-112 for Peterson,6-6 in rounds,one point lost for Peterson,who was dropped in the first round,although I thought it was a questionable knockdown and a minus two for Khan for the point losses. SO on my card,the points taken off did decide the winner of the bout. Many reports of the bout have written that Khan was never warned for pushing off,but that is untrue. I heard the referee warn Khan on several occasions,but he never made the final conclusive warning "One more time and I am taking points!". I understand Khan's frustration,but where was it when he got the hairline decision over Marcos Maidana? Or from Khan's trainer Freddie Roach when Roach-trained Manny Pacquiao got a worse decision than this over Juan Manuel Marquez last month? For once,the house fighter lost a close decision,the house fighter wins about ten of these to the one that they lose,so I'll save my indignation for now.